This article was contributed by TEACH graduate Noren Grace Cailing. My life was strongly impacted by being sponsored through the child development center TEACH, (Training, Equipping A Child Holistically). TEACH provided me with wonderful opportunities from a young age. As I grew in the program, I learned more and more about God through my 3-4 hours of teaching each week. However, I resisted a deeper relationship with God until the first time I attended District Camp in December of 2014. 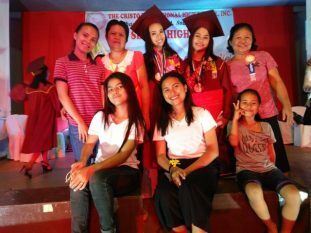 There my eyes, mind, and heart were opened to God’s call: TEACH was more than an opportunity to further my studies, but was also a call to know God deeper. While I spent over ten years in TEACH, I was blessed not just financially but also with the opportunity to be physically fit. I got to play basketball, learn instruments such as guitar and ukulele, and learn confidence to speak in front of large crowds and new people. The TEACH staff was available to help me with my studies and projects. I was able to visit different cities, even getting to ride a plane for the first time! 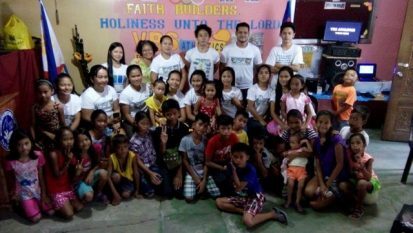 TEACH made it possible for me to attend Nazarene Youth Congress in Baguio City in 2016, as well as the iLead Children Leadership Training in Cebu City in April 2017. This is in addition to other district camps throughout summer vacations. Most of all, my time in the program had a deep impact not just on me, but on my family as well. Now I have returned to TEACH, as an Assistant Teacher to sponsored children, grades 5-7, as well as a teacher to children in the Outreach program. In addition, I work in the planning and preparing of events at TEACH, such as Sportsfest, Project Anniversary, and our Christmas party. I know there will be more opportunities to give back to the community that shaped me so profoundly. I am so thankful to the many people who spoke into my life during my time at TEACH. My life is a testimony to God’s faithfulness, shown to me through my sponsor Linda Roberts, then continued by my teachers, the District Advisory Board, and all of the spiritual guides throughout my life. There are children all over the Asia-Pacific Region who are like I was, ready to be nurtured in their education and their faith. Will you be the one to answer God’s call? For more information on how you can participate in child sponsorship and other compassionate ministries, visit NCM.org.